No children or grown children? Do you both work and are able to meet your expenses after divorce? Do you have normal assets and liabilities? Do you want to get divorced as easily and civilized as possible? Divorce mediation is a way (as opposed to litigation) to go through the issues of divorce including assets and liabilities accumulated during the marriage and how the two of you will meet your expenses after the marriage is over. The divorce mediation process enables the parties seeking the divorce to use a neutral third party while still being able to speak to outside attorneys if they choose. By choosing divorce mediation as your process to divorce, you will be greatly reducing costs to the both of you and saving considerable time and stress. With Divorce rates for Boomers (those born between the years of 1946 and 1964) on a steady increase, there is a need for unique issues, priorities and choices to be included within your divorce agreement.The wording of the agreement is likely to have significant consequences not only for you but for “extended family” and life long friends. Will alimony be part of the agreement? Thoughts of a change of child support orders usually arises when the current support order for food, shelter and clothing is not meeting the needs of the children. This could also occur when the payor believes the amount paid is in excess of the real costs or guidelines calculation, or there has been a change in income that prevents the payor from paying at the same level. Divorce Mediation or Litigation: On The Fence? So it looks like you are going to get divorced. Fear, anxiety, uncertainty is normal. Choosing between divorce mediation and traditional litigation happens to everyone who seeks out legal separation. Divorcing and Have No Children? Short term marriages are generally considered to be about 5 years or less. Generally speaking, in short term marriage divorce cases, the goal is to put the parties back into the positions, financially speaking, of where they were when they entered the marriage. Unlike medium or long term marriages where there may be a lot of unwinding of assets and/or debt accumulation. This, typically, is not the case with short term marriages. This can be a lot simpler. Here's why divorce mediation for a no-children short-term marriage in Massachusetts may be your best option. If you are considering divorce, and haven't checked out divorce mediation, it is not too late. Breaking News: New Tax law eliminates alimony as a deduction beginning 2019 unless grandfathered in! 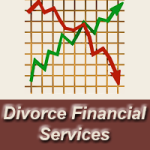 Massachusetts Divorce Financial Analyst services may be a stand alone process or one chosen as part of, or in addition to, a Divorce Mediation if the mediator is qualified. A Certified Divorce Financial Analyst, (CDFA) ™ is an individual certified by the Institute for Divorce Financial Analysts™. Q: What do you call a "do it yourself" divorce with help from a skilled legal and mediation professional? 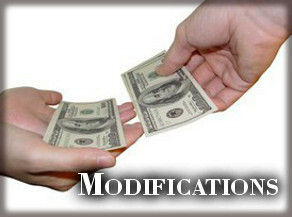 Divorce mediation is a process that combines the know-how of a divorce mediator and the do-it-yourself efforts of the client (spouses) to produce a fair and complete divorce agreement & action plan with all the court-required documents to file for an uncontested divorce in the probate court for court approval for your divorce.